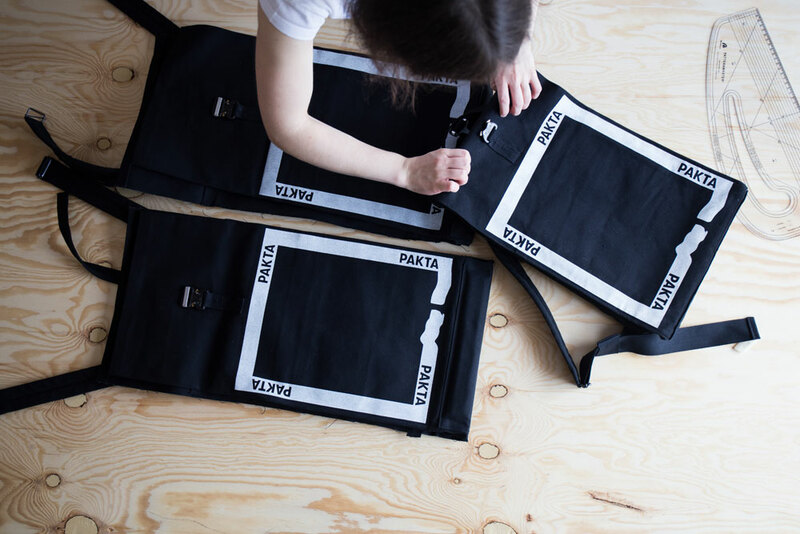 Founded by Kerim Hudson and Hana Komanová, PAKTA is a studio crafting functional, screen-printed bags that are built to last. 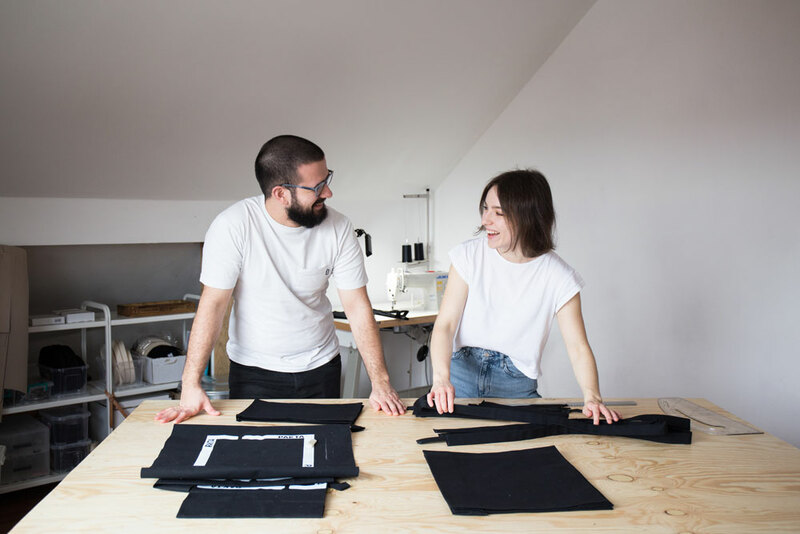 Combining their backgrounds in fashion and print, Hana and Kerim started PAKTA after moving from London to Bratislava. 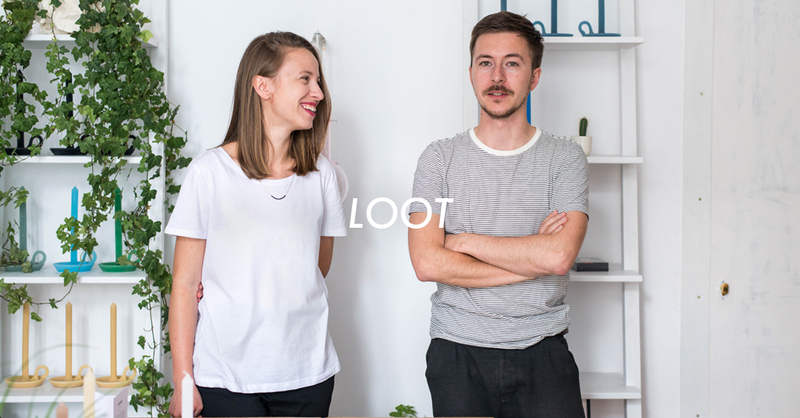 We chatted with them to find out more about their design process, the materials and hardware they use and their plans for the upcoming months. Can you tell us about how you met and what made you start PAKTA? Kerim: I’m from London originally, Hana and I met there whilst we were both studying. Once we graduated, we both decided that it was time to leave and explore living in other cities, and so we went and lived in Warsaw whilst travelling around Europe before settling in Hana’s hometown of Bratislava. Hana: I was in my second year studying Fashion Design and Kerim was finishing his BSc in Psychology when we met. If someone would’ve told me then that we would be running a business together now I wouldn’t have believed it. But a lot has happened between then and now, and all that has naturally contributed to starting PAKTA. Kerim: PAKTA started in part as a response to our travelling. 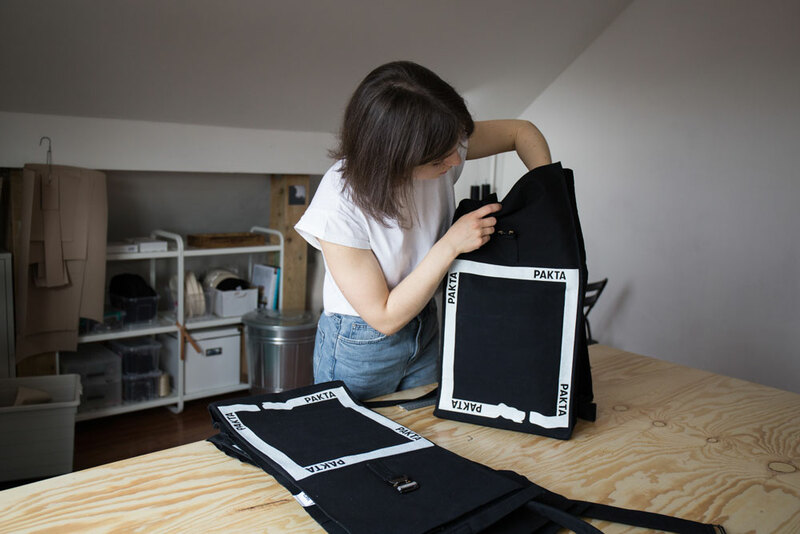 We wanted bags and backpacks that we could use not only for moving between places but also every day whilst we were there, and Hana had experimented with making bags in University and then at her internship in Warsaw. I had a background in working freelance in design and marketing, and so put the idea forward of starting a business together. 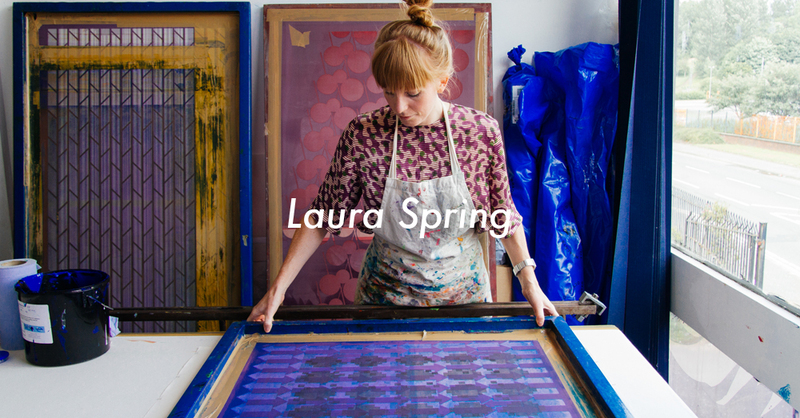 I thought it would be great to combine my love of printmaking and Hana’s love of textiles and bags into a collaboration. Hana: I wouldn’t say starting a business was a meticulously calculated step. I knew how to sew and make things from textiles and, especially, loved bags and Kerim knew how to print, and initiated the whole idea of making it into a business. The rest we worked it out. You started PAKTA in Bratislava after living in London. What would you say are the advantages of running your business in Bratislava instead of London? 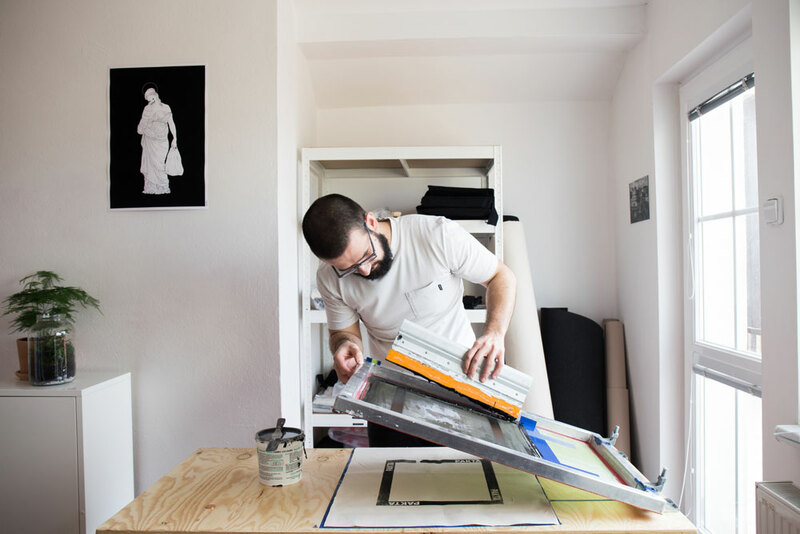 Kerim: Bratislava is a much smaller city than London, and I think that in itself has a lot of perks. People tend to be very aware of things that are going on in the city, and it is easier to get to know and work with other like-minded people. Hana: The values that our business is based on – like sustainability and craftsmanship – were never my priority while still living in and studying in London. It’s only been in the most recent years that this whole shift happened. The advantage of running a business here is that it’s a small city where the market isn’t so saturated and where we can directly contribute to its fashion and design landscape. Kerim: For me, personally, one of the things I appreciate a lot more here is a sense of space and a slower pace to the city. I sometimes go back to visit London and every time I’m there I feel this sense of rush and tension that I no longer enjoy. And Bratislava is in the centre of Europe, which makes it a great location for travelling from. How do you split tasks? Can you describe a normal day at your studio? 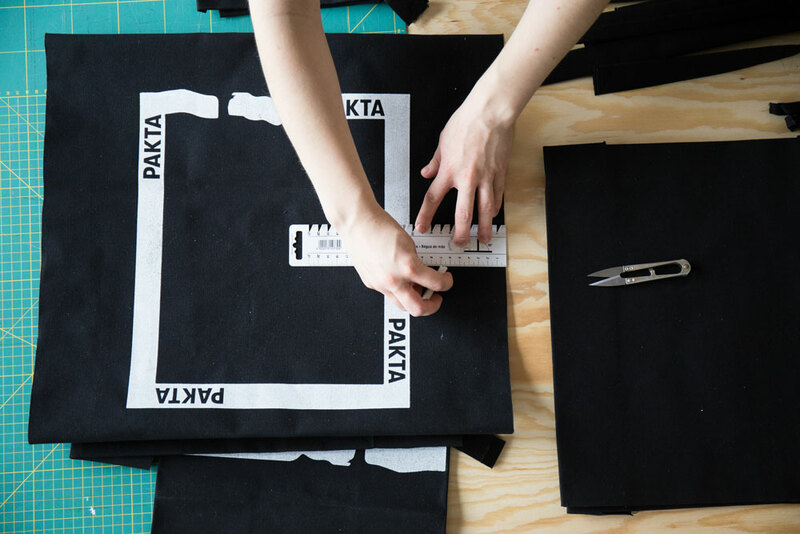 Kerim: When we started PAKTA we wanted to use both of our passions as the base of our products, and every part of the process is in some way collaborative. My background is in printmaking and graphic design, so my focus is on the digital side and screen-printing of the bags. Hana: I am doing everything else regarding the product: designing and handling all the production, which we do all in-house from start to finish. A normal day at the studio may vary from crazy hectic when we are doing everything to very chilled, when all we do is research. Can you tell us about your design process? How does an idea in your head become a product? Hana: I’d say it’s a very simple process. Because our bags are all made for different purposes it all starts with some need to accommodate some specific function. For example, I can think to myself something like “Oh man, I wish I had some small little thing I can take to the festival next week that’ll fit exactly what I need”, and that’s how the first bag called MINI VRECKO was born. So I’d say purpose comes first and the form follows. Kerim: Each bag is designed for a certain use or need, without any frills and unnecessary elements. We also try to incorporate this same idea to the print, so that it adds to the product. From there, we feel we are in a constant state of refining and improving our products, which is one of the reasons we wanted to keep everything in-house. Whenever we get feedback on our products, we take it on board and experiment with ideas in order to try and make our products as functional and efficient as possible. 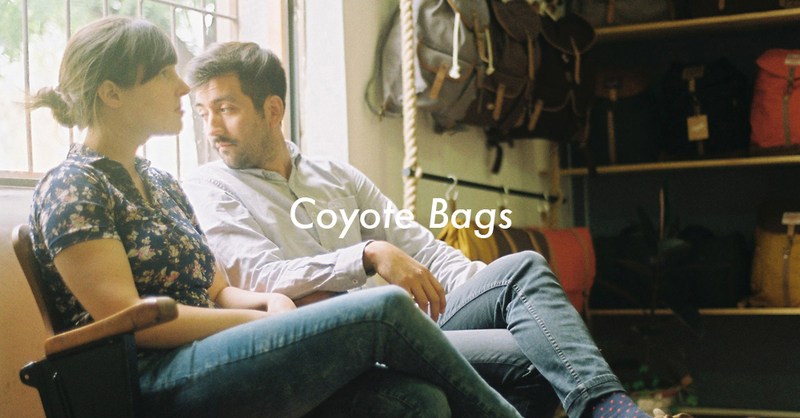 Can you tell us more about the materials and components you use for manufacturing your bags? Kerim: We try and source natural products where possible, and so we use a 100% cotton sailcloth for our bags which has a waterproof coating to help protect your belongings and lengthen the lifespan of the bag. We also use high-quality metal buckles and components which can withstand a lot. 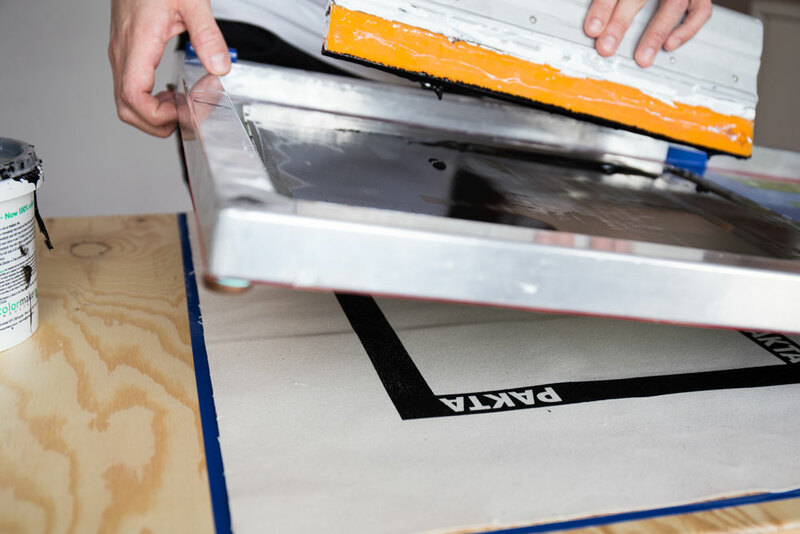 With regards to the print, we use a water-based ink because we wanted to keep things as natural and environmentally friendly as possible. 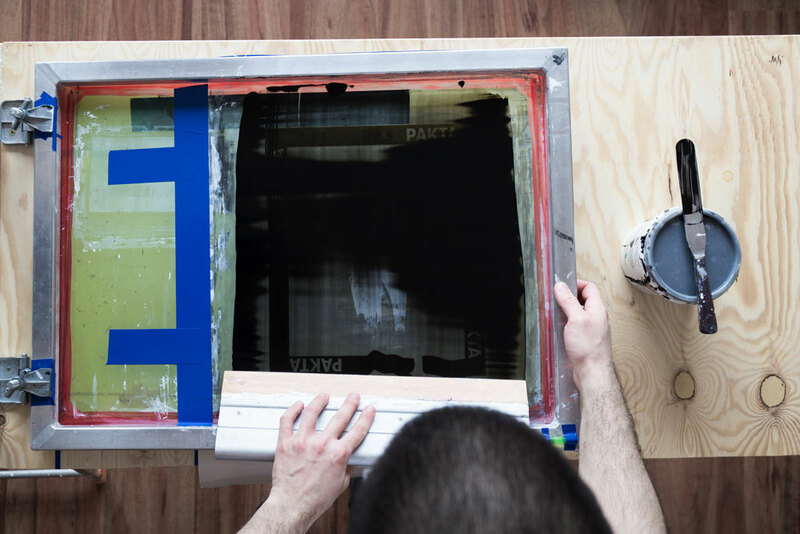 We experimented with different inks and processes to try and lengthen the lifetime of the print. It’s important to us that people can have faith in the function and durability of the bags before they buy them. That’s why we really try to invest in and constantly improve the materials and components, as well as testing every single bag to make sure that they are good enough to sell. Why did you decide to focus on bags? Can you talk us through the different products you currently manufacture? Hana: I started losing interest in designing ready-to-wear clothes in my final year of university and was fascinated with workwear. Bags come naturally when one researches workwear a lot, and back then I was just doing little bags to be worn with my final year project. Later when we moved out from London, I got an internship in Warsaw and bags were all I focused on and that solidified my love for them. We also moved a lot from country to country which brought a whole other level of appreciation for bags and their functionality. Kerim: The focus for bags for me really stemmed from our travelling and why it was difficult to find a bag which would be both reliable and functional, but also suitable for every day wear. 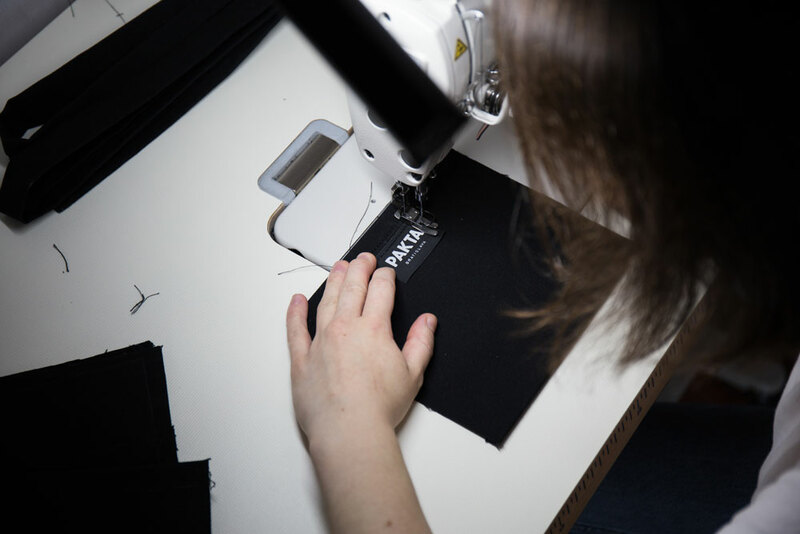 At the moment we manufacture 5 bags, in two colour ways: Black and Off-White (Unbleached Cotton). Two of our bags, VRECKO and MINI VRECKO are drawstring bags, a regular and miniature version. We have a crossbody bag called PRIEČKA, and a shopper with adjustable straps so it can be worn as a backpack called TAŠKA. And lastly, our RUKSAK is a roll-top backpack. All the names are general Slovak words for types of bags. How do you see PAKTA growing? What are your plans for the upcoming months? Kerim: Our main focus over the next few months is to refine some of our products a little further based on some feedback we’ve gotten, and we also have some new products in the pipeline to be released which we are very excited about. Hana: We are still growing so there’s a lot of room to grow. Right now we are mainly e-commerce and we’d like to open our flagship store in the near future. 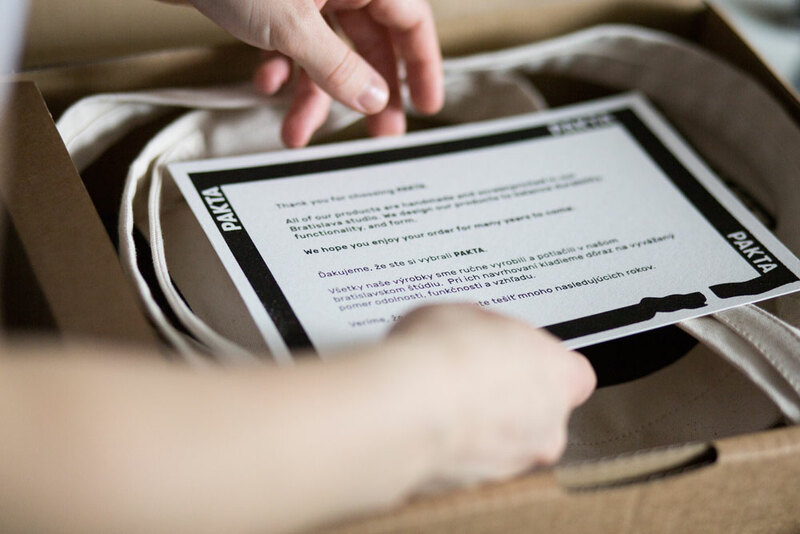 We think it’s important that people are able to hold the bags and feel the material. 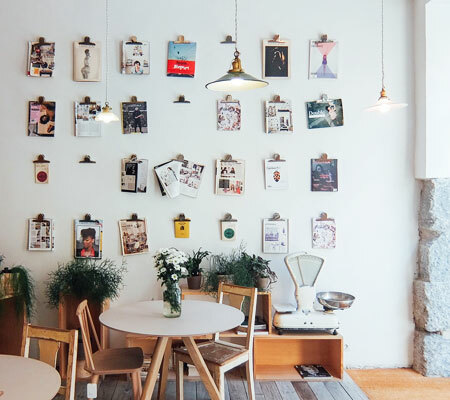 Can you share with us other creatives based in Bratislava we should know about? Hana: There are a lot of music creatives I can come up with from the top of my head, for example musicians like Katarzia and Fallgrapp who are definitely bringing something new to the table. In terms of brands, I’d definitely say Buffet Clothing – a young brand that’s doing really well right now. I’d also mention Adam Berka, who owns his own bookshop and publishes books, and he’s also somewhat of an activist for urbanism and politics. The most recent book he’s published is an illustrated constitution of Slovakia so it’s more accessible to people. Kerim: Lousy Auber is a very talented photographer who is doing some wonderful things in the city as well. He recently helped open a space called BLESS which regularly hosts pop-up shops and events by local creatives. GutGut Architects are a small architecture firm who are really doing some amazing things here in Bratislava. They have a project called Mlynica where they’re renovating old industrial spaces into beautiful work and event spaces. What are some of your favourite places in Bratislava? Hana: There are a few hidden ones. The place owned by Adam Berka, whom I mentioned before, is called 82 bøok & design shõp. It’s a bookshop and also a bar run by him. And because I personally like coffee, my favourite filter coffee is in a place called Urban House. And it’s also somewhere we go when our Wi-Fi gives up (which is more often than we’d like to admit). Also, great coffee can be found at Pán Králiček. A good meeting place is KC Dunaj, it’s a venue/bar/free time hang-out space and it organises a lot of events on a regular basis. In summer I like to just sit around this marketplace building called Stará Tržnica, there’s nice beer too. Kerim: I would also say Urban House, it’s great for working, food, drinks, and coffee – pretty much everything! Nova Cvernovka, as well, is a shared workspace which recently re-opened in a renovated old school, which houses some really interesting creatives and is a beautiful building to just wander around. And one of my favourite places to hang out is a bar called Bukowski.